“Music is the universal language of mankind.”― Henry Wadsworth Longfellow. Rizal Abdulhadi from Indonesia believes this to be true. 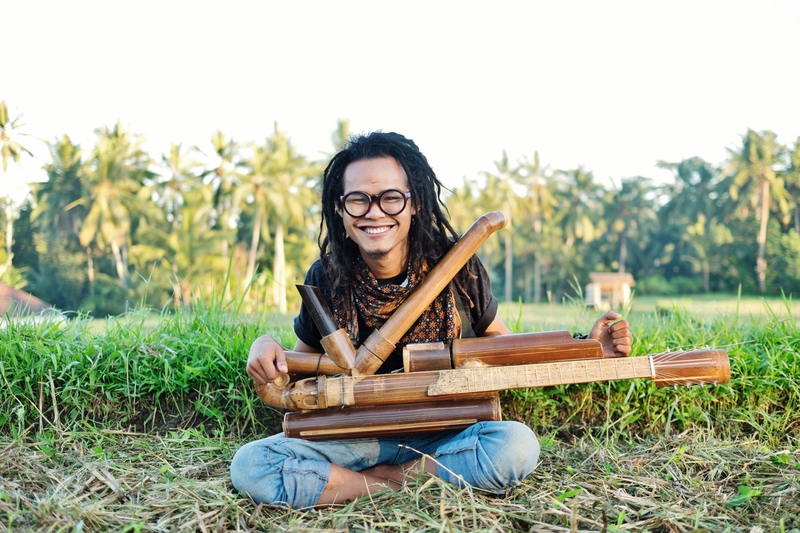 He is a full-time musician, instrument builder, multi-instrumentalist, social activist, video producer & editor and the founder of the ‘ThatBamboo’ company – a music label that uses bamboo to create hand-crafted musical instruments. The most interesting fact about Rizal is that he makes his own instruments out of bamboo. 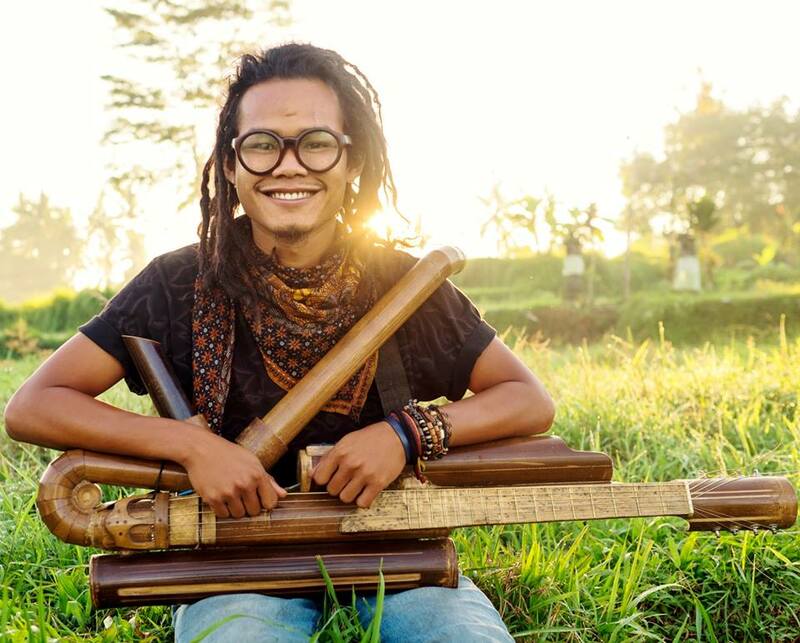 His most recent handcrafted instrument called ‘Rasendriya’ is a combination of guitar with didgeridoo and celempung (percussion).He recently came to India for the Ziro Music Festival, and we had a chat with him to know more him, his music and his craft. Photo | Rizal Abdulhadi – Folk music artist from the band Rizal and Rasendriya, Indonesia. Hi Rizal! Tell us briefly about yourself. Hi! I am Rizal Abdulhadi from the band – Rizal & The Rasendriya. I was born and brought up in a small village in West Java, Indonesia and now currently settled in Ubud, Bali. 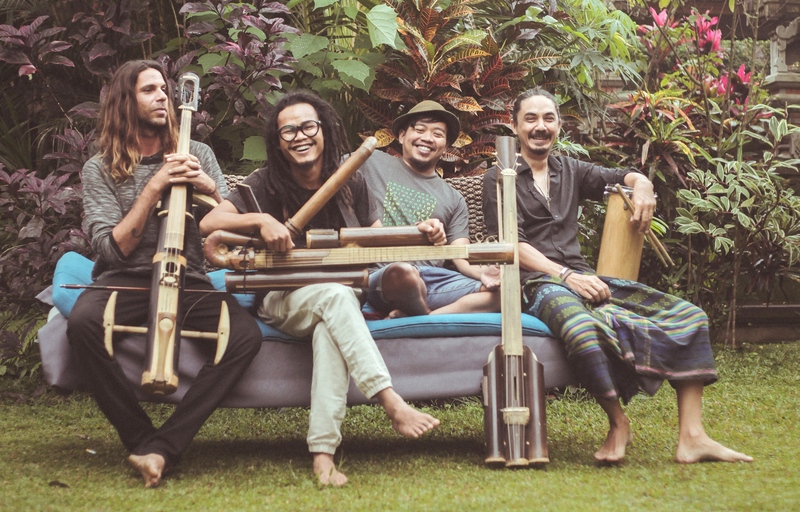 I own a music studio and record label called ‘Tropical Folk Records’ and another studio called ‘ThatBamboo’ here in Bali itself, with my team. Tell us more about your music, inspirational sources, and the instruments you use. My music genres are generally a fusion of Folk, Reggae, Rock, Ballad, Blues and Bluegrass. Some of the great musicians that has inspired me thus far are Pete Seegar, Bob Marley, Rage Against The Machine, Bob Dylan, Victor Jara, Ben Harper, Xavier Rudd. Last but not the least, what do you want to convey through the medium of music? I want to join the movement to change the world for it to become a better place for us and for the next generation after us, equally. Living a life of harmony and with love is what everybody deserves, side by side with each other and with respect to nature and the creation. “I also want to emphasize on the fact that how crazy is the concept of capitalism. It has changed our minds to be drawn more towards consumerism and make us forget that we can actually make things with our own hands and there’s absolutely no need to think to always BUY and BUY! 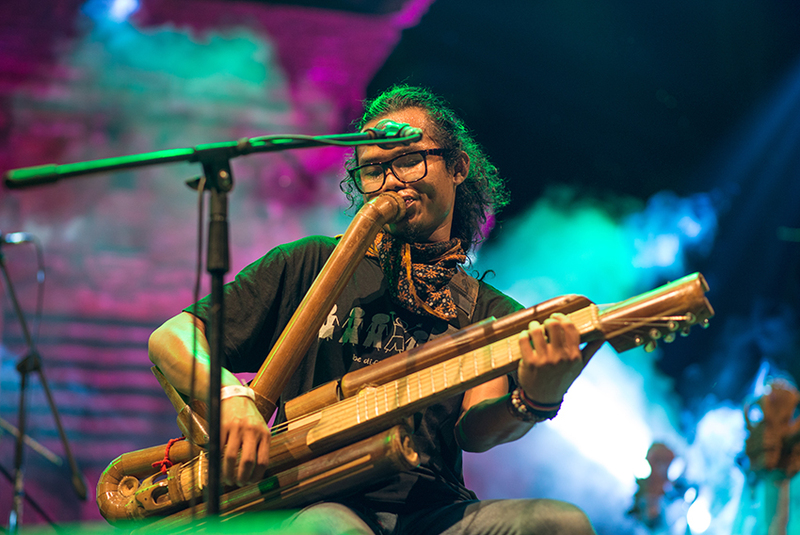 Photo | Rizal performing live on stage with his self-made bamboo instrument, Rasendriya. Follow Rizal on Instagram, Facebook and Youtube!